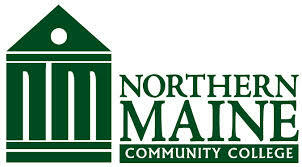 Northern Maine Community College was established in 1961, and the first class entered the college in 1963. Today, NMCC impacts over 2,000 students annually through various programs. More than 7,000 graduates are now meeting employer needs throughout the state, the nation, and abroad. Thanks to the support from business and industry throughout the state, NMCC is proud to have more than 250 individuals serve on advisory committees for our various programs. This ensures that NMCC's programs provide the most relevant, technically advanced information required in their industry. The College has earned the reputation of a top-quality educational facility. The first class entered NMCC in 1963. Today, NMCC impacts over 2000 students annually through various programs. More than 30 programs of study are designed to enable you to enter the work force with technically-current skills. NMCC is accredited by the New England Association of Schools and Colleges, Inc. Ninety percent of our graduates are employed within six months of their graduation in Real jobs or are continuing their education for a bachelor's degree.